Bearing a long cultural legacy and economic vibrancy, the Thames flows from Gloucestershire to Essex, measuring 346 kilometres, this positions it as the longest river in England. It is sourced in Thames Head and flows into the North Sea through the Thames Estuary, in Southend-on-Sea. Its waters are a valuable source for the counties of Gloucestershire, Wiltshire, Oxfordshire, Berkshire, Buckinghamshire, Essex, Kent and London. The river is divided into two sections, the non-tidal section stretching from its source to Teddington Lock, and the remaining tidal section, which is affected by tidal activity due to its proximity to the North Sea. Overall, the Thames is fed by 38 significant tributaries and several smaller ones in its non-tidal section , among the best known being Loddon, Churn, Cole and Ock, as well as a number of others in its tidal section, including Brent, Westbourne and Fleet. 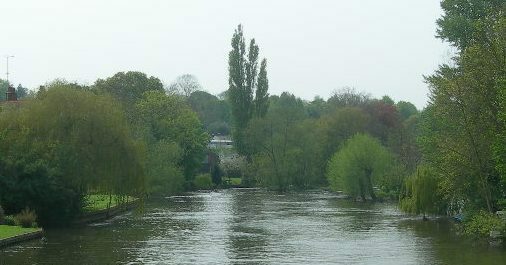 In the counties of Berkshire, Oxfordshire and Essex, the Thames has formed a multitude of islands, more than 80 altogether, which give the river a picturesque charm and differ according to the geographical traits of their specific areas. For instance, estuary islands differ from non-tidal section islands. Among the most famous and visited rivers on the Thames are the Isle of Sheppey, Monkey Island and Rose Isle. There are artificially created islands as well, such as Penton Hook Island and Ham Island. Overtime, artificial interventions have occurred on the course of the Thames in order to optimise its economic potential as well as avoid natural hazards such as large floods, which have existed in the river’s history and have caused substantial damage. These interventions have resulted in the creation of artificial canals such as the Jubilee River built between Maidenhead and Windsor, which was built for the purpose of flood control. Other channels include the Kennet and Avon Canal, the Basingstoke Canal, the Regents Canal and the Wey Navigation Canal. In pre-modern times, especially during the 18th Century, canals served as primary routes for transporting commodities such as grains, building materials and coal. Today, the Thames remains a centre of economical activity, tourism and education, through the remembrance of past times. Tours on the Thames are very endeared by tourists from all over the world and are a crash course through the history of the area as well as some of the most important edifices in London. The river provides countless possibilities in terms of leisure as well, ranging from sightseeing to water sports.